Last edited by Zonx : 04-16-2005 at 07:51 AM. You might want to get rid of the doc file. DOC files can have viruses in them you might want to make it a rtf or just a plain txt file. 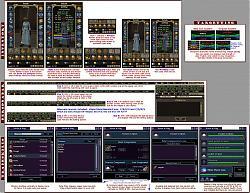 Everything uploaded to EQ2I goes thru a virus scan prior to being approved for download. FYI, saving it to another format would only defeat Word Macro viruses, which if I used any Macros, you'd be promted to OK. Your interface mod works very well but maps, it shows wrong very often. Mr. Goldi have fixed that problem, maybe you should take a look. 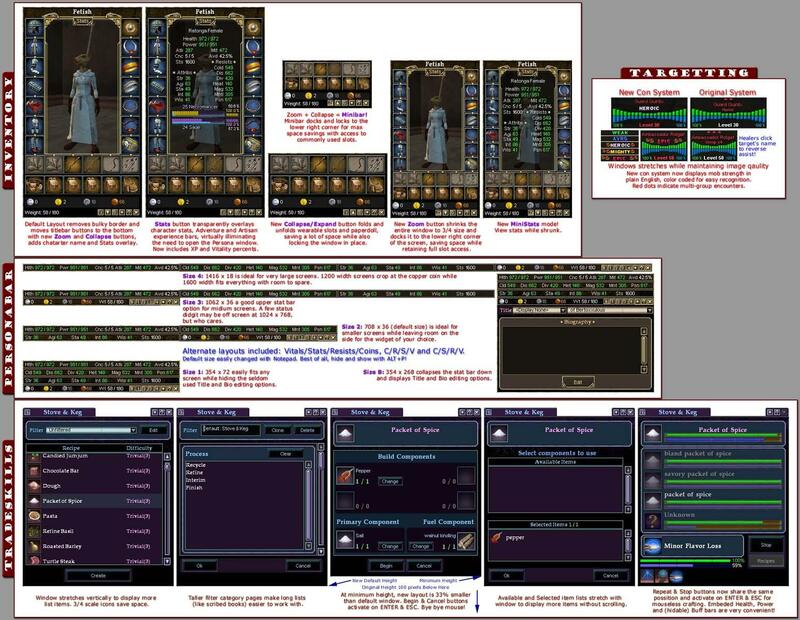 Hoping this will be helpful for improving your EQ2 interface mod. If you check the Support link listed at the top, you'll find a link to the hotfix posted a few days ago, along with other usefull info. This download page isn't the best place to get late breaking news on bugs and code tweaks. I'll be issuing a larger patch with a few minor bug fixes in the next day or 2, which is why the hotfix wasn't uploaded as a patch. I dont know where you got that info fcw, but it is a lie. After loading the UI per the Readme file, I load EQ2 with no problems. I see the MOD artwork. Once in the game, I see from what I can tell, all the UI, but what is missing is the main game. 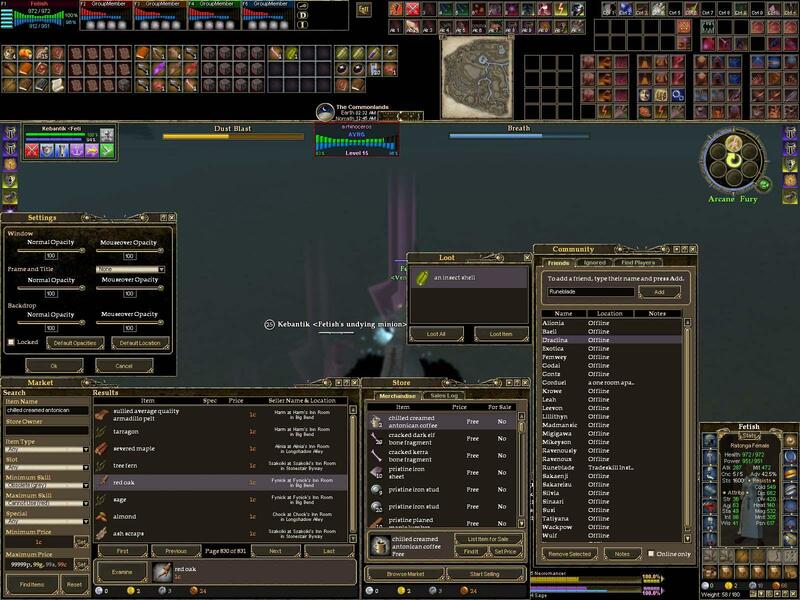 Where I should see the world of EQ, I see a black screen....Can anyone help, I may have missed something I was spose to do, but I can not come up with what it is. 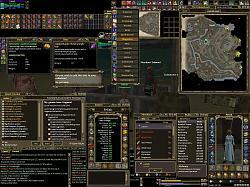 Noct, typical symptoms of not installing EQ2MAP properly. Not surprised since you missed the big red text both on my download page and on the comment form telling you NOT to post technical questions here. Go to the EQ2MAP auto-updater page, and follow their install instructions carefully, then reinstall Fetish. 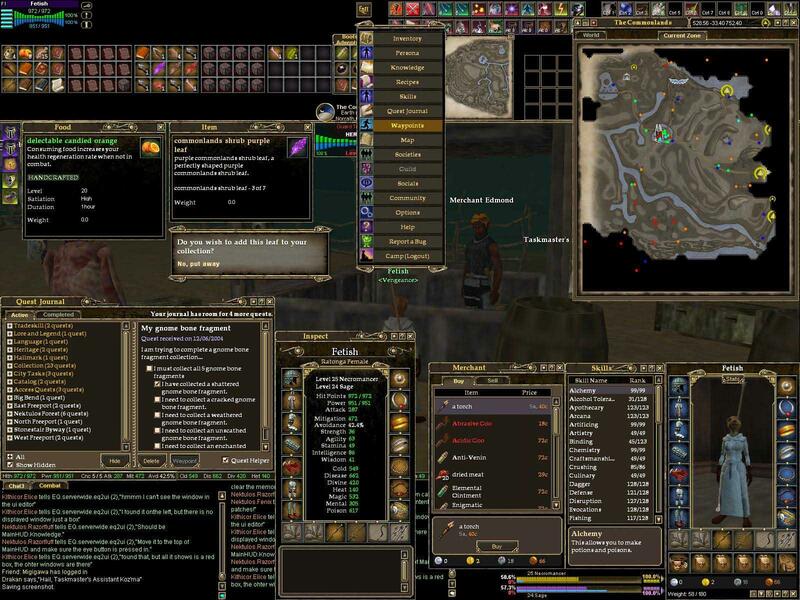 Could be eq2ui_mainhud.xml got overwritten by some other mod you install. It needs to have the following 3 lines of code in it. You can check/edit the file with Notepad. Is it available when you are running EQ2MAP - which I am? Last edited by steevodeevo : 05-05-2005 at 11:25 AM.